The rocket hobby lost a valuable resource when Brent McNeely ceased publication of Extreme Rocketry magazine. 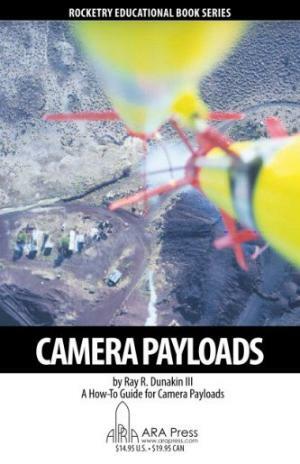 Over the eight years of publication, Brent had built up a sizable library of how-to articles on all phases of the hobby from design to construc-tion to avionics to payloads and post-flight analysis. Some of these he had published in his Extreme Rocketry series of booklets. To keep this important resource avail-able for hobbyists, ARA Press has agreed to continue publication of the Extreme Rocketry booklets. Future titles may become available if there is sufficient demand. 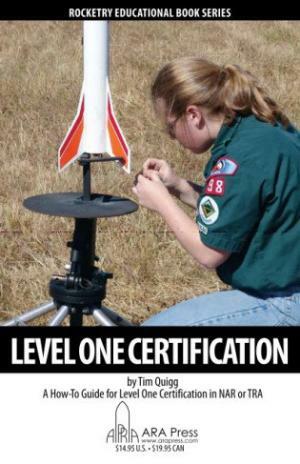 Level One Certification: This booklet is a step-by-step introduction to the certifica-tion process necessary to advance into High Power Rocketry. It covers not only the mechanics of building and flying an L1 rocket and the legal process required, but also the importance of joining a rocketry organization. This booklet has been completely updated to reflect changes in the law the past few years. This is a new pub-lication, never before published. Even though the cameras in these projects are mostly film based, the focus is more in building successful payload bays and optical paths, neither of which is dependent on the image recording medium. Digital photography is ad-dressed in the last chapter which covers still, recording video and downlink video. Staging High Power Rockets: Black powder rockets can be easily staged by using a special booster motor that has no delay and no ejection charge, and by placing the upper stage directly over the booster in close proximity. When the front end of the booster motor propellant ruptures due to combustion pressure, burning particles of black powder are blown forward into the nozzle of the upper stage motor, igniting the easily lit black powder there. High Power fliers dont have it so easy. Not only are higher-energy composite propellants harder to light, they must be lit from the very top of the motor core. 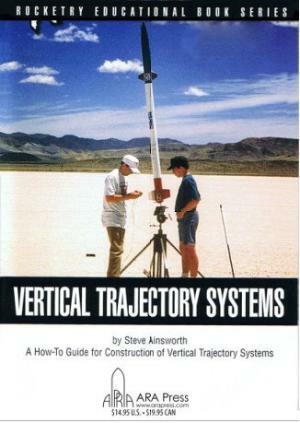 Vertical Trajectory Systems: Model rockets can get by with only simple passive stability (i.e. keeping the CG in front of the CP). While this is poten-tially true with High Power rockets, it is a waste of a vehicles potential to simply let it wander wherever it will while burning off those thousands of Newton-seconds of impulse. A straight, vertical flight is essential for obtaining maximum altitude, a goal not just for the rocketeers bragging rights but sometimes required when flying scientific payloads. Vertical trajectory systems (a term coined by Dave Ketchledge, author of Rocket Science) are a class of active guid-ance systems whose job it is to keep a rocket going completely vertical regardless of outside disturbances. In its densely packed pages, Steve Ainsworth covers guidance detection (how to know which way up is) and control (how to actively change your trajectory). He covers the basics of analytical system design so you know what needs to be done, and then the iterative hardware design process to build the equipment to do it. This is not a book for beginners! 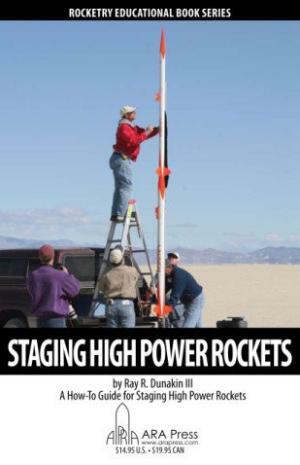 A solid understanding of hobby rocket dynamics of at least the level found in the Stine Handbook is a prerequisite. Then again, you wouldnt be looking for a book like this if you werent already there.